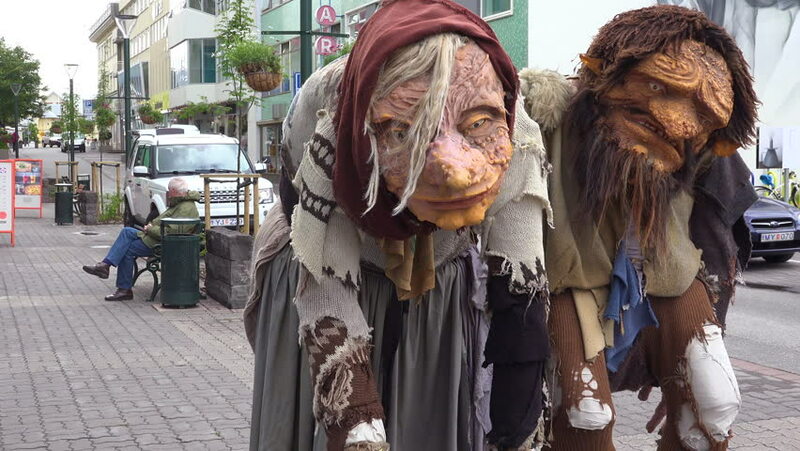 ICELAND - CIRCA 2018 - Two giant troll figures stand on the streets of Akureyri, Iceland. 4k00:19Bali, Indonesia - September, 2016: Makepung – Buffalo Races in Bali. A cultural tradition. The dressed up bovines hooked up to wooden plough with jockey in competitions in Bali, Indonesia, 2016.